The usual pick up for the boat is Back Beach, by the Port Chalmers Yacht Club, however a pick up is also available on the Portobello Wharf (Pontoon Jetty) by prior arrangement. Occasionally there is a Carey’s Bay pick-up (e.g. for events). We can usually help with car pooling, if you give us some notice of where you live and contact details. Don’t forget to let us know you’re coming at least a day beforehand so we can let you know if there’s any change of plans. The usual boat charge is $15-20 pp return, $10 for children, but sometimes we are able to subsidise special volunteering themed events. 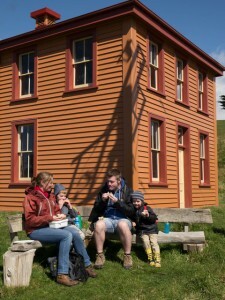 Day trip during Easter to help with planting, admire the Married Quarters building, explore, relax and have fun! Please let us know if you’re keen and any day/time preferences. At the moment Easter Monday 22 April is our preferred option. We’ll organise boat transport if we get enough interest. 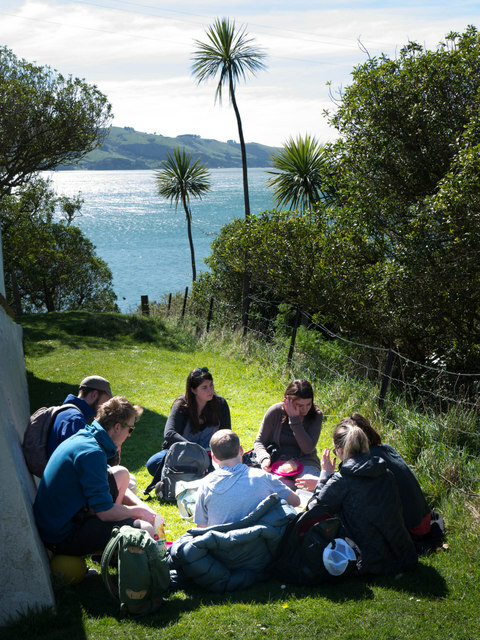 Sat 27 April QIKT and Sat 25 May Community open day If you’d like to spend some time volunteering, activities include planting, biodiversity monitoring and a beach clean-up. There’s always time to relax too! The boat leaves from Back Beach Port Chalmers at 10am sharp, returning about 3.30pm both days. Portobello pick up by prior arrangement. $20 per adult; $10 for children return, or half-price for those helping with weed control, thanks to a grant from Weedbusters. 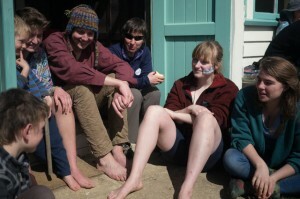 We have a small ‘hardship’ fund, so if the boat cost is a barrier, please let us know. 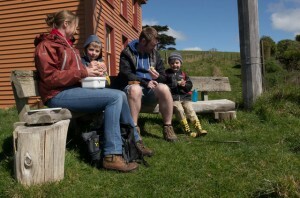 Bring some simple healthy food to share at a lunch, sturdy footwear, clothes for wet or dry, cold and hot. We’ll provide Fairtrade coffee and tea :). Working holiday or volunteering at other times? There are lots of projects we’re hoping to progress, from weed control, building fences, and stiles, releasing trees, to painting. Please let us know if you can help, particularly if you have relevant skills. We’ll gladly offer free accommodation in the Lodge and cover boat fares for volunteers. 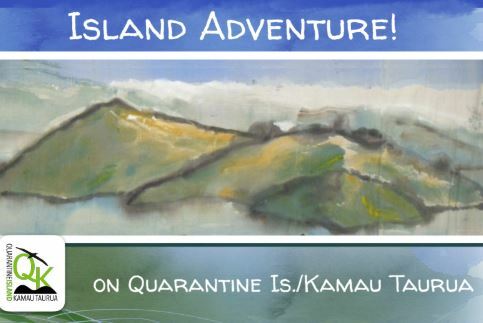 Contact the Keeper at quarantineisland@gmail.com. Read an account of volunteering and staying on the island from recent volunteer, Carolyn Stallard, a young musician and teacher from New York. We loved having Carolyn on the Island!